Spotting Scope Series. The MeoStar® S2 82 HD spotting scope series represents the culmination of eight decades of optical technological advancement. At the heart of our new flagship spotting scope series is a massive 82mm, high-definition, extra-low dispersion, two-part fluoride objective lens element. The fluoride glass element eliminates chromatic aberration (CA) or color fringing in challenging lighting conditions and delivers pin point resolution, increased contrast and vivid color fidelity even in extreme low light situations. Precisely observe, identify and select the game animals you track – in the finest detail and at extended distances – during your next hunting adventure. Spotting Scope Series. Award-winning performance is exactly what you need when glassing a once in a lifetime opportunity... from over a mile away. Our MeoPro® 80 HD delivers the clarity, resolution and brightness to spot your game at incredible distances. An 80mm extra-low dispersion, Fluoride objective lens element delivers unrivaled, resolution and eliminates chromatic aberration. 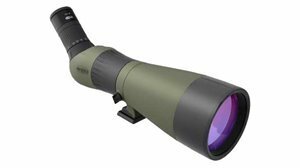 An integrated 20x-60x eyepiece quickly reels in your prey while its all-in-one design boosts brightness. Wrapped in a compact, well armored, lightweight, nitrogen purged magnesium chassis, the 80 HD is built to enjoy a lifetime of hunts.